Women take Valentine’s Day quite seriously, and more women than men have experienced disappointment from a romantic partner on February 14. 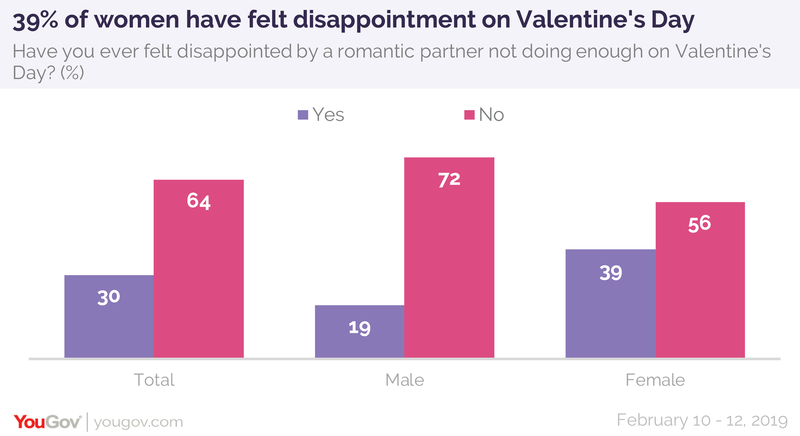 In the latest Economist/YouGov Poll more than a third of women (39%) admit they’ve been disappointed on Valentine’s Day – twice the percentage of men (19%) who say this. 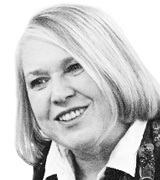 It’s especially true of women between the ages of 30 and 64. Of this group, 44% have experienced a Valentine disappointment. As for women who are separated or divorced, the share is even greater: 61% of women who are currently in that situation say they have been disappointed on Valentine’s Day. Some men – 26% of them – recognize that they may have caused a Valentine’s Day failure. Fewer women admit this. Men who are divorced or separated are especially willing to admit their failures on this front. 40% of them say they have disappointed a romantic partner by not doing enough on Valentine’s Day. Only 16% of single men say they have disappointed a partner on Valentine’s Day. One in five men (22%) and women (18%) admit to forgetting entirely to celebrate Valentine’s Day. Valentine’s Day traditions include sending and receiving cards. 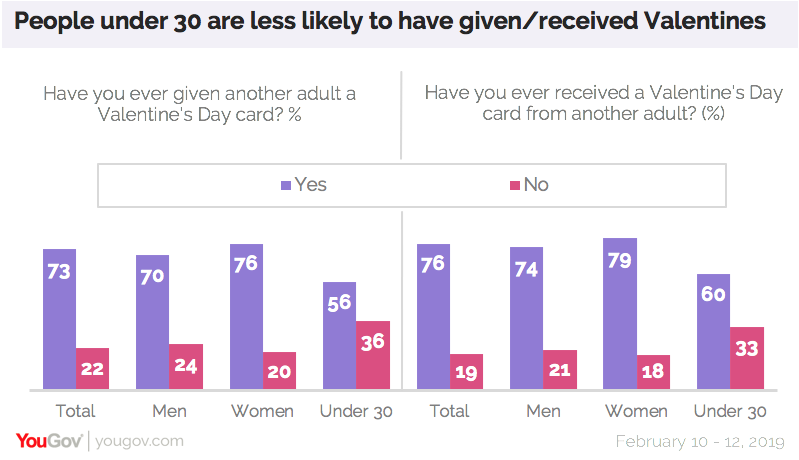 Three in four adults — male and female — say they have sent and received Valentine Day cards. But the practice may be going out of style. Young adults, particularly those under the age of 30, are the least likely to say they have done either. Men and women under 30 are little different in these answers. Valentine’s Day inspires neither dread not anticipation from most people. One in four actively looks forward to it, while 12% dread it. Younger adults are more likely than older adults to dread the day. Among those who have never been married, nearly as many dread the day (15%) as look forward to it (18%).